Start by crumbling the tofu with your hands. In a large pan, heat the olive oil and pan-fry the crumbled tofu for about 3 minutes. Then add the chopped onion and cook for another 4 minutes. Then add the garlic. After one minute, add the tomato paste and cook for 2 more minutes. Deglaze with red wine and cook for 3 minutes. Then add the diced tomatoes as well as the pureed tomatoes and season with oregano, basil, salt, and pepper. 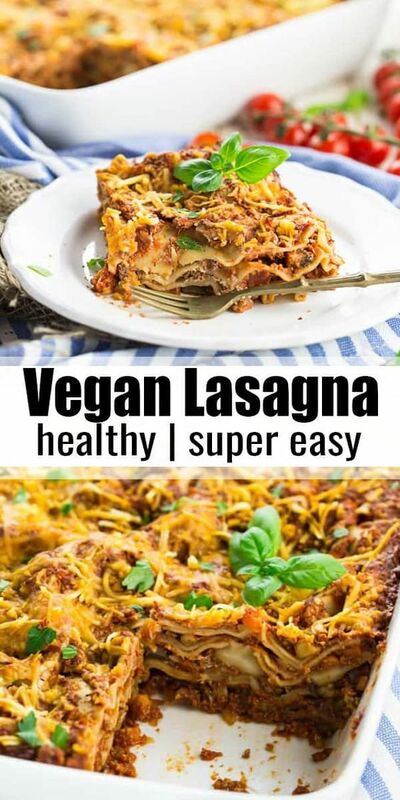 0 Response to "Meatless Lasagna (Vegan)"